If you are due to finish your degree, or if you have already graduated, then you may be starting to consider what your next step will be. While you may be ready to leave education, and start applying for jobs in your degree subject, you may also consider furthering your education by taking a master’s degree. You need to be sure that applying for a master’s degree is right the decision for you as it is a very big commitment which will require your full dedication. While there are many different motivations for doing a masters, from increases in future salaries to more career prospects, here are five great reasons why you should go ahead with the next level of your education. 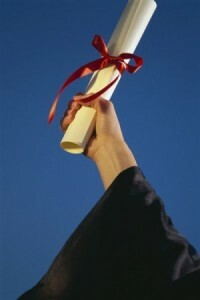 If you are going to do a master’s degree, then you need to be prepared and ready to continue your learning. You are likely to have developed a lot of your knowledge through your undergraduate-level degree, but a masters will teach you more specialized information that you may not have already covered. A masters may also be able to take you to the next level in your career. For example, many nurses take a nurse practitioner program online to advance their careers and increase their chances for promotion. Doing a masters is a great way to connect with people in a professional manner, which can increase your networking skills. Networking is a great way to get your face known amongst the main players in your professional world, while developing your ideas and knowledge. We’ve all heard the saying ‘it’s not what you know, it’s who you know’, so while the knowledge you will gain from a master’s degree will help your future career prospects, so will knowing people in high places! One of the most popular reasons for taking a master’s degree is because it is likely to boost your future income. For example, in professions such as nursing, a master’s degree can double what you can expect to earn just by completing your first degree. However, while the prospect of improving your financial security of your future can be a very appealing reason to take a master’s degree, this should not be your main motivation. Today, the job market is very competitive, and more people than ever before are applying for each job vacancy out there. Unfortunately, having an undergraduate degree will not necessarily mean that you stand out from the crowd, but a masters is something that will impress future employers. Having a master’s degree shows a potential employer that you are dedicated to both your own education and your professional development, thus making you an appealing employee. No matter which subject you are considering taking a master’s degree in, they can be a great way to grow and develop professionally, while also boosting your employment chances. Be sure to think carefully about your decision and don’t let the opinions of others influence you.